Virginia Gov. Ralph Northam's political career faces an uncertain future amid mounting pressure from local and national leaders to resign. See reactions from state and national figures below. WASHINGTON — Virginia Gov. Ralph Northam’s political career faces an uncertain future amid mounting pressure from local and national leaders to resign. 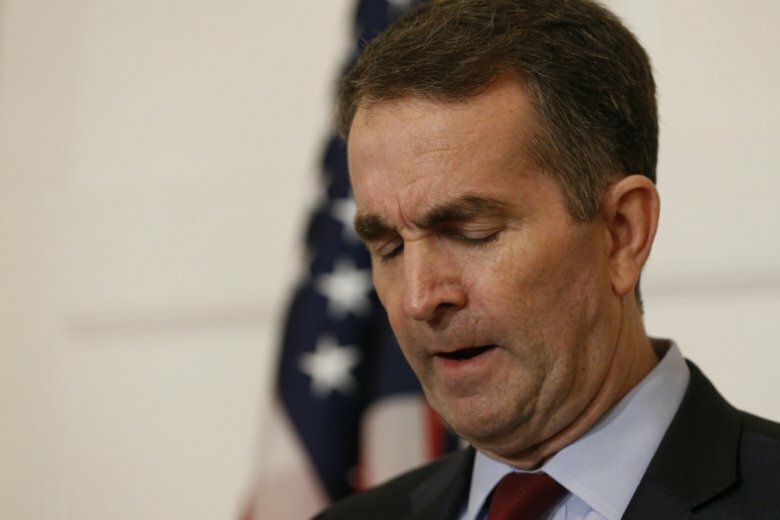 In a Saturday afternoon news conference, Northam said he does not “truly” believe he is the person in a racist yearbook photo that emerged Friday — but in the hours that followed, the calls to resign from Northam’s Democratic colleagues only intensified. See reactions from state and national figures below. Former Virginia Gov. Terry McAuliffe, Sunday on CNN’s “State of the Union”: “First he said it was [him in the photo]. If it wasn’t him in the photo, he should have said that on Friday. … If it isn’t you, you come out immediately and say ‘This is not me.’ So I can’t understand I can’t understand what’s going on but I do know this: Ralph is a good, moral, decent man and may have made some mistakes in his past. We all have made mistakes. Ralph will do the right thing for the Commonwealth of Virginia, and I think that will happen relatively soon. U.S. Reps. Gerry Connolly and Don Beyer, D-Va., in a joint statement: “We expected Governor Northam to resign [Saturday] morning. Nothing we have heard since changes our view that his resignation is the only way forward for the Commonwealth. U.S. Rep. A. Donald McEachin, D-Va., whip of the Congressional Black Caucus: “I am so deeply disappointed and dismayed by the horrific picture of Governor Northam … Four hundred years ago, Africans arrived in this country, enslaved and kept as slaves for over two hundred years. Systemic racism is still endemic today in every part of America. Virginia has a particularly sordid history with racism from the first enslaved Africans on our shores, to the capital of the Confederacy to Massive resistance to the struggles African-American Virginians face today. Mark R. Warner and Tim Kaine, Virginia’s U.S. senators and former governors, and Rep. Bobby Scott said in a joint statement that after having watched the Saturday news conference, they “no longer believe (Northam) can effectively serve” as governor. Eastern Virginia Medical School President Richard V. Homan: “We share the outrage, alarm and sadness voiced by our alumni, the press and many on social media regarding the picture published in the 1984 student yearbook. The picture is shockingly abhorrent and absolutely antithetical to the principles, morals and values we hold and espouse of our educational and research institution and our professions. Racism and discrimination in any form is not acceptable. Calls grow for Northam to step down, but can Va. lawmakers force him out? The near-universal calls for Virginia Gov. Ralph Northam to step down have political observers looking at whether — or even if — officials could impeach him or remove him through other means. Neither option has ever been used against a sitting Virginia governor. 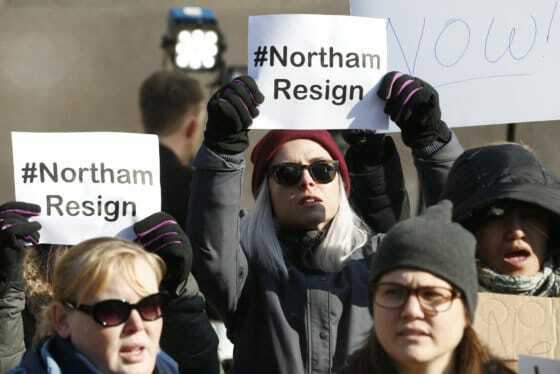 Virginia Democratic Party: “We made the decision to let Governor Northam do the correct thing and resign this morning — we have gotten word he will not do so this morning. Previous statement: “We are so deeply saddened by the news that has been revealed today. We are having trouble reconciling our experience with Governor Northam with what we see in this photo. The Governor Northam we know is a great friend and ally, who has served and dedicated himself to our Commonwealth and the nation.